As many of you will already know, it’s International Women’s Day on Thursday. We feel as though one day is simply not enough time to get all the celebrating, noise-making and general foot-stomping we need to do completed, so we’ve decided to eek it out into a whole week (who knows, we might make it the whole year). Given the momentum that the conversations around #Vote100, #MeToo and #TimesUp have driven, and the somewhat mixed feelings we’ve all had about the harrowing, but all-too-common stories that have been shared, we believe that now is the time to act. The theme of this year’s International Women’s Day is #PressforProgress, and is all about making a pledge to take action in a particular way, whether that's providing more of a platform for lesser-heard voices to be raised, mentoring, celebrating women's achievements or challenging stereotypes and bias. We’re starting with one of the action points on the Press for Progress list, ‘forge positive visibility of women’. 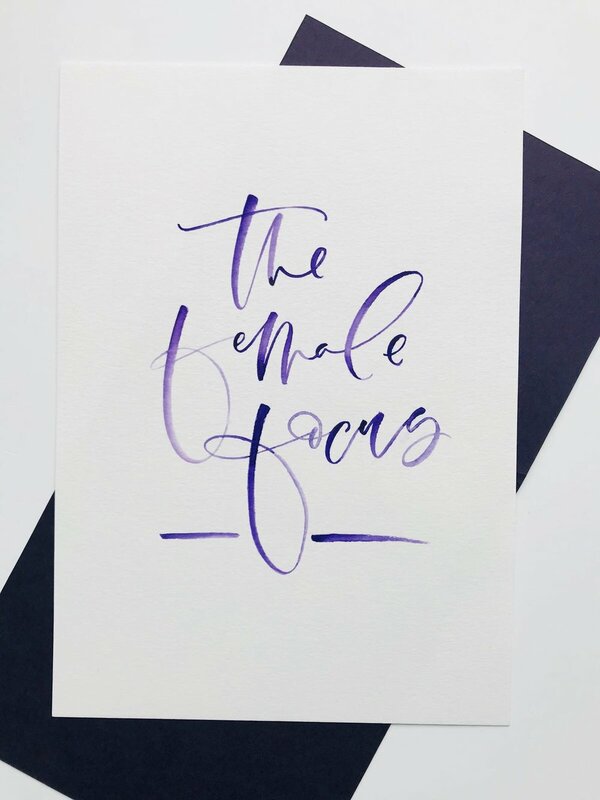 We’ve teamed with our very good pal Claudia at CLO PR and spoken to some incredibly talented ladies in the freelance, start-up and business world to discover exactly what the current momentum on female-focused issues means to them, and what they’ll be doing in the coming year to #PressForProgress. We’re really aware that the issues facing women in 2018 are not unified, and there’s no singular blanket response that will help all of us equally. We recognise that women of colour, disabled and trans women are even more victimised, disadvantaged and are fighting entirely different battles than we are. We hope that even though the patriarchy makes us personally angry, we can to use our privilege as a platform for other women’s voices to be heard, and we’ll need some help to make sure we get that right. We don't have to have all the answers ... but we do have the power to decide what will make a difference on an individual level, and use the energy that's been created to make real changes right now. If we all fight for one thing and fight as hard as our Suffragette sisters did to secure the vote, then the collective noise will become harder and harder to ignore. As three women in business ourselves it seemed apt to choose this particular sector to try and make some noise in. When Jess and I set up Mac&Moore we were all too aware of the statistics that faced self-employed women and freelancers. Under-represented and only accounting for a third of self-employed people and 17% of business owners, the structures of the patriarchy have made it so much harder for female founders to be heard, taken seriously and paid fairly for the work they produce. We're really proud to have taken our career paths into our own hands and be a part of the balancing act that needs to happen in order for us to achieve equality. We’re starting with some daily wisdom from incredible female founders on our Instagram and Twitter pages (both @macandmoore and @weareclopr) and will share the other initiatives we get involved in along the way after that. Every month we’ll be doing an in-depth profile and Q&A on a different female-founded start-up and hope to meet some new people along the way. We’ve found some brilliant resources that others have set up to support disadvantaged women across the UK and further afield that we’ll share. Most importantly, we don’t want to do this alone! So please get in touch and let us know if you’d like to be involved, and hopefully before long, the patriarchy will be good and squished. Nothing to see here... Just three Girl Bosses taking over the town.